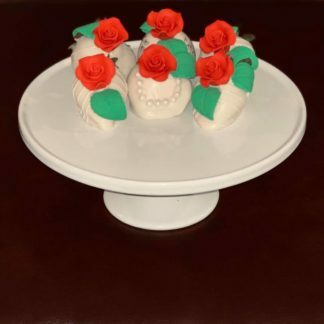 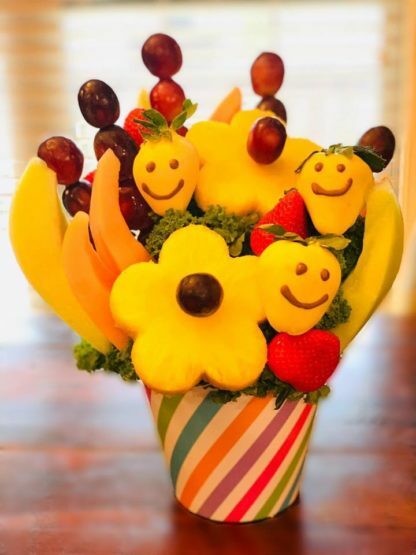 Our delicious treat is sure to make you want to smile…and share! 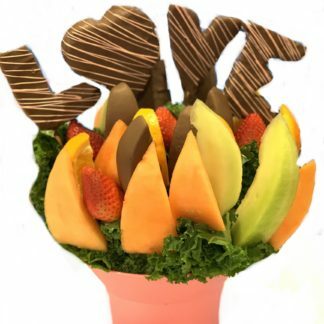 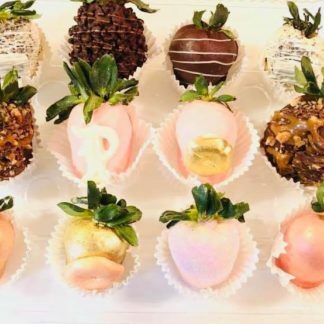 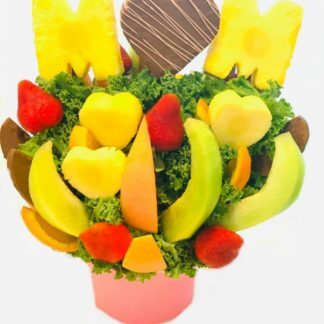 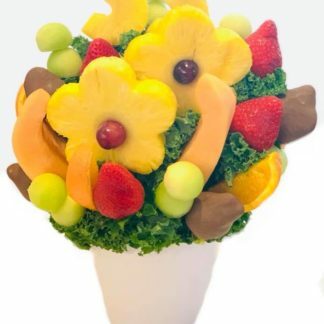 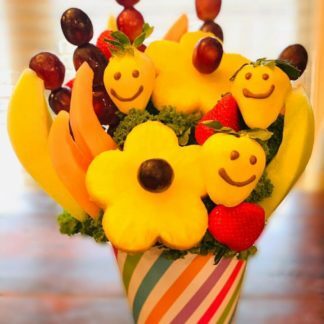 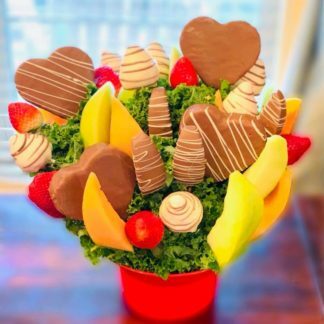 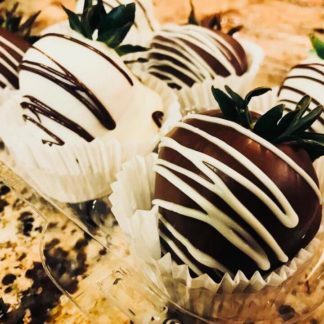 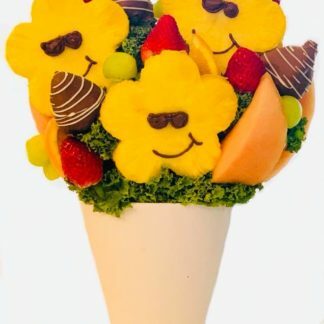 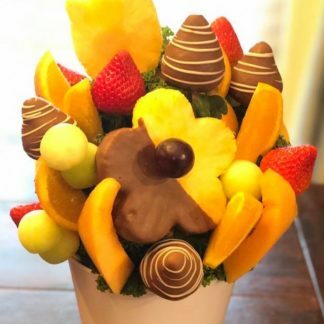 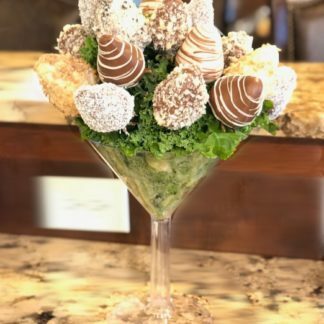 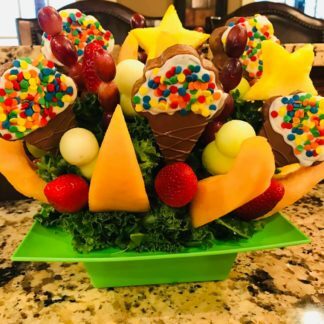 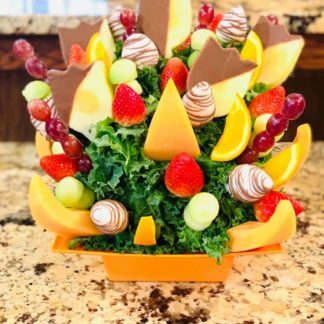 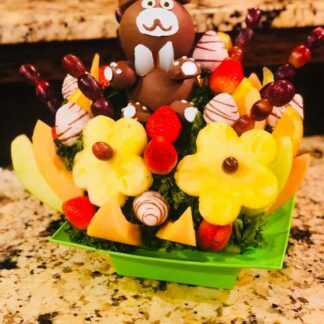 Fresh, plump strawberries are decorated with happy, smiling faces and mixed with a mouthwatering selection of melon, grapes and daisy-shaped pineapples. 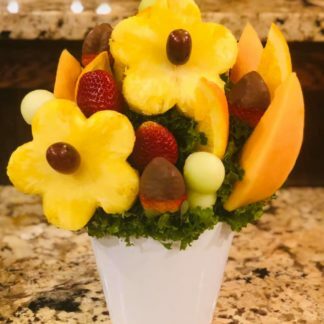 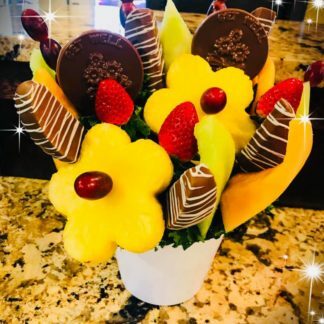 Served up in a pastel swirl container, our cheerful fruit creation is the perfect pick-me-up for someone sweet in your life!